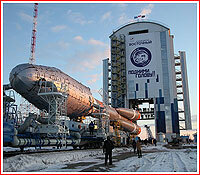 A decade after the last converted ICBM flew from the now defunct Svobodny Cosmodrome in 2006, the first Soyuz rocket is finally ready to blast off from a nearby pad in Vostochny. However, after this first symbolic launch, the new spaceport is expected to remain largely unused until at least 2018. In the meantime, construction teams switched from the most urgent infrastructure needed for the first launch to secondary facilities, which were planned in the first phase of spaceport development. The First Soyuz-2 rocket on the launch pad in Vostochny in March 2016. The beginning of 2016 was marked in Vostochny with a transition from autonomous tests of recently completed components of the new spaceport to integrated tests of the entire facilities. 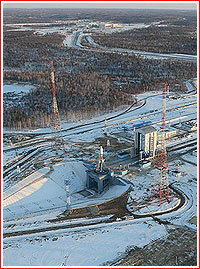 The processing complex for rockets and spacecraft became the first infrastructure to reach this stage. On February 16, Roskosmos announced that a day earlier integrated tests had started inside the spacecraft processing building, MIK KA, after the successful installation of all necessary systems and their autonomous tests. 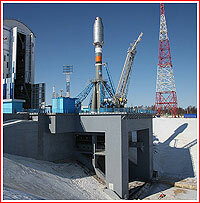 According to the agency, the integration tests at the rocket processing building, MIK RN, were completed with the first assembly of the Soyuz-2-1a rocket. The final component of the processing complex -- the fueling station, ZNS -- was scheduled to enter integrated tests on February 25, Roskosmos said. In the meantime, on the Soyuz launch pad, the installation of all systems had been completed as well, paving the way to autonomous tests to prepare for integrated tests and the so-called "dry" rollout of the launch vehicle scheduled for March 25. 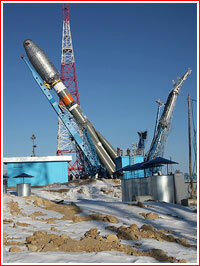 On February 18, engineers conducted static and dynamic checks of the transporter/erector, which was to carry and install the Soyuz rocket on the launch pad. However during the tests, the transporter was loaded with a dummy cargo, which was 1.5 times heavier than a real rocket in order to try all mechanisms at maximum loads. Engineers lifted the dummy cargo into a vertical position with several stops testing various holding modes. 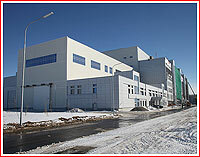 During his visit to Vostochny on February 29, Deputy Prime Minister Dmitry Rogozin, responsible for Russia's defense and space industry, reported to Prime Minister Dmitry Medvedev that autonomous tests of all systems on the pad were nearing completion and the facility was (almost) ready to receive the first launch vehicle. 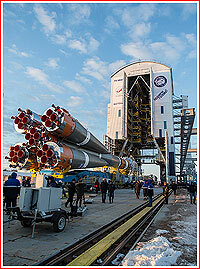 For example, the Mobile Service Tower was reported completing autonomous tests in Rogozin's presence. At the time, a test rollout of the rocket was planned between March 20 and March 28, but the final date was not expected to be set until March 12. According to Rogozin, all work on the first phase of construction in Vostochny had to be completed by the end of 2016, in order to pave the way to the second phase of development, aiming to bring the Angara rocket to Vostochny by 2021. 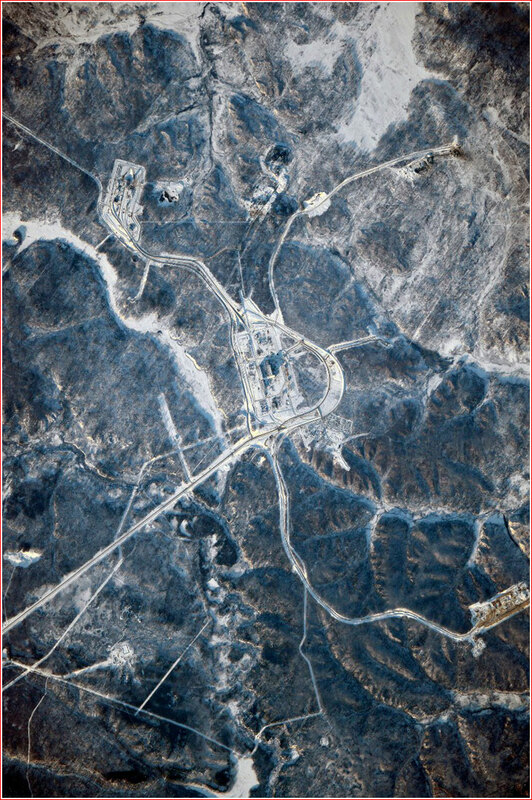 Key facilities of Vostochny photographed from the International Space Station by the Russian cosmonaut Sergei Volkov on Feb. 19, 2016. As of beginning of 2016, the total price tag for the first phase of Vostochny was expected to reach 120 billion rubles with nine billion to be spent during that year to finish the first phase of spaceport infrastructure that would not be necessary for the first launch, RIA Novosti quoted Roskosmos head Igor Komarov as saying. 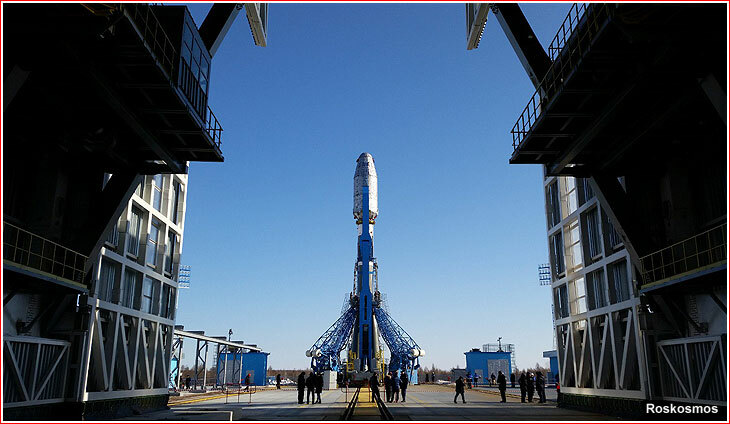 According to the Kommersant daily, 84 billion rubles was spent as of May 13 to complete 11 facilities needed for the first launch out of 20 facilities in the first phase of the spaceport's development. These additional facilities included a centralized propellant storage complex, the second phase of an industrial zone, a meteorological facility, communications and new residential infrastructure. Some work would include preparations for clean-up efforts at drop zones for spent rocket stages downrange from Vostochny. The project documentation for the first phase of the industrial zone was approved only in April 2016. The development of facilities in the first phase of construction was expected to continue well into 2017, overlapping with early work on the second phase. According to the Spetsstroi military construction agency, the future development would require a new concrete production plant, a hotel, several makeshift camps for up to 1,000 extra workers, a canteen, a laboratory and new earth-moving and road-construction equipment. In February, Spetsstroi began shifting its workforce from already completed sites to future projects, the agency said. During 2016, reports about mismanagement, non-payment of salaries and corruption persisted despite all the political scandals in 2015 and the Kremlin's promises to resolve problems. In January, the Izvestiya daily reported the arrest of three leading engineers of the technical oversight directorate in Vostochny in a massive bribery investigation. Around the same time, the total amount of stolen federal funds from Spetsstroi was estimated at nearly 1.4 billion rubles, according to the Izvestiya. However in February, a Moscow court ordered the release of former head of the Far-Eastern division of Spetsstroi, (known as Dalspetsstroi) Yuri Khrizman from prison to house arrest, apparently after prosecutors had failed to substantiate charges of unlawful spending of more than five billion rubles against him. Khrizman led construction at Vostochny until 2013 and, reportedly, had a reputation for excellence and integrity among his associates and subordinates. Since his arrest, at least one independent publication described the case against Khrizman as a misguided attempt to find a scapegoat in the hopelessly corrupt construction business. Ironically, the same month, the court also ordered Dalspetsstroi to repay a total of 1.55 billion rubles to various sub-contractors in withheld salaries during 2015. It was a clear indication that after Khrizman's dismissal, things at the company really went downhill. Moreover, this year, Izvestiya reported that even employees of the Vostochny managing directorate were hit with salary delays, which reached a total of nine million rubles. A Roskosmos spokesman blamed the problem on "organizational" issues, a euphemism for mismanagement. In another sign how the Russian authorities were dealing with the problem, on April 13, the police in Ussuriisk arrested Anton Turishev, who famously complained to Vladimir Putin during the so-called "direct line" with the president about non-payment of salaries to workers in Vostochny. The arrest, on minor and clearly trumped up charges, took place on the eve of this year's "direct line." A week earlier, the police "invited" Turishev to a local precinct to cite him the "law about demonstrations," after the reports had spread that employees of the TMK contractor in Vostochny had planned to mark the anniversary of their call to the president with new protest actions, because all the promises to repay their salaries had never been fulfilled. As of March, TMK still owed 117 million rubles to its workers, according to the prosecutor's office, quoted by news.ru web site. Despite all the problems, on March 21, 2016, the first Soyuz-2 rocket with a Volga upper stage was rolled out to the launch pad in Vostochny. The vehicle was transported from the assembly building to the launch facility and installed into vertical position. On the same day, the mobile service tower rolled onto the pad and enclosed the rocket, enabling the beginning of electric tests of the booster and its upper stage. The autonomous tests continued on March 22, followed by integrated tests and by the withdrawal of the mobile service tower during the same day. The operations cleared the way for general tests of the launch vehicle with all the telemetry being downlinked to Vostochny's ground control station. 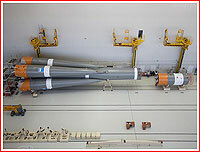 The electromagnetic compatibility of the rocket with the launch facility was also checked, as well as the fueling and umbilical mast retraction to test the launch operations. Also on March 22, 2016, Dmitry Rogozin returned to Vostochny for a series of meetings at the center. On March 23, the personnel at Vostochny performed fueling tests, simulating the loading of propellant onboard the rocket. 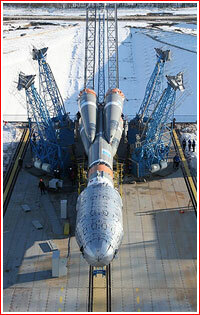 Finally, on March 24, engineers practiced operations during an aborted launch. All tests apparently went as scheduled and the launch vehicle was removed from the launch pad on March 25 and returned to its processing facility for the final integration with its payloads to be carried on the first mission from the space center. 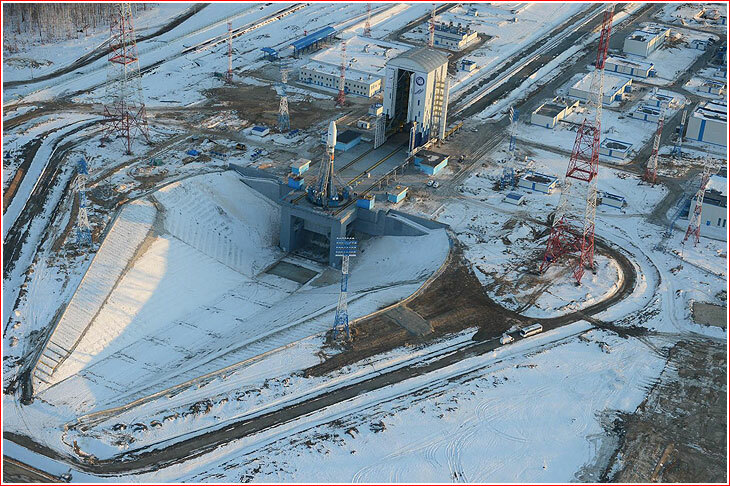 On March 30, Roskosmos announced that a ground station in Vostochny, VKIP, along with associated mobile remote stations had successfully completed integrated tests and was ready to support launch operations. From June 17, 2015, the facility received telemetry during nine communications sessions with the ISS, and it also downlinked telemetry from the Resurs-P satellite and tracked the launch of the Soyuz TMA-20M spacecraft. At the beginning of April, the State Commission reviewed the results of the on-pad tests, the readiness of the launch facilities and the completion of safety measures for the launch personnel and approved the first launch from Vostochny on April 27, 2016, at 05:01 Moscow Time. Shotly after another visit to Vostochny by Rogozin on June 21, the Kommersant reported a seven-billion ruble budget deficit for the completion of the 20 facilities in the first construction phase by October 31. The snewspaper also said about the failure of Dalspetsstroi to provide the General Prosecutor's Office with proper accounting of 16 billion rubles spent on Vostochny. At the same time, Roskosmos claimed that all funding was disbursed to the prime developer. On July 18, the Vostochny directorate filed a 2.6-billion-ruble lawsuit against GUSS Dalspetsstroi for not fullfilling its contractual obligations. In July 2016, the Far-Eastern Power Company, DEK, which supplied Vostochny with electricity, complained that Dalspetsstroi had stopped paying the bills, while Roskosmos' TsENKI ground infrastructure operations center, had never picked up the tab, even though it had began using the site. However, due to the strategic status of the site, DEK was required to continue providing power to another deliquent customer. As predicted years ago, Roskosmos faced problems in finding Soyuz rocket missions which could be justified to fly from Vostochny, with pads for this rocket family already available in Baikonur, Plesetsk and Kourou. Following the inaugural launch from Vostochny in 2016, no other missions were planned from the new spaceport for the rest of the year. Only one payload -- the Kanopus-V No. 4 satellite -- was initially booked to fly from Vostochny in 2017. However, Roskosmos hoped that a large European contract for multiple launches of OneWeb satellites on as many as eight Soyuz rockets in 2018 would make it economically feasible to shift at least three of these missions to Vostochny. Three more OneWeb launches could originate from Vostochny in 2019, along with the launches of a Meteor-M2-2 satellite and the Luna-Glob (Luna-25) lander, also tentatively planned for that year. Also, new-generation Smotr-R remote-sensing satellites could be suitable candidates to fly from Vostochny into near-polar orbits, if they would be ready as planned in 2019. Other federal and commercial payloads, which would require new processing infrastructure not available at existing Soyuz launch sites, could be shifted to Vostochny at the end of the decade. However given likely delays faced by new projects, Vostochny could see little use until the introduction of the launch pad for the Angara rockets, which was not expected until at least 2021. The First Soyuz-2 rocket on the launch pad in Vostochny as seen through the Mobile Service Tower on March 21, 2016. An inevitable postscript to the rushed and mismanaged construction of the Soyuz complex in Vostochny came in 2018 with the announcement that underground voids were found more than a year earlier below the brand-new launch pad. Because the military contractors had to rush the concrete works in the midst of a harsh winter, some of the areas did not solidify properly and threatened to undermine the service tower and its railway. On Sept. 10, 2018, the TsENKI launch infrastructure division of Roskosmos, issued a statement saying that its specialists found presence of low-quality concrete under the surface of the launch pad. However that construction defect was not critical and would be fixed by Roskosmos' own personnel by October 5, TsENKI said. The repairs were expected to cost around 4.5 million rubles. 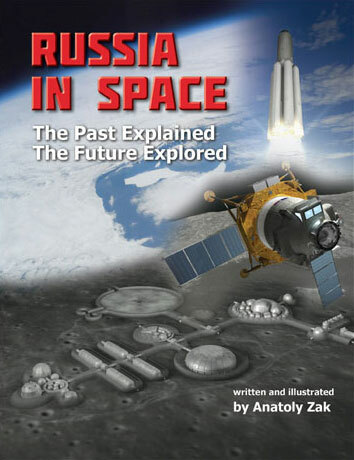 According to TsENKI, it had several other claims against the Spetsstroi military contractor that built the pad.